While this might not be one of the finest wedding photographs ever taken it is a wedding day image charged with emotion. 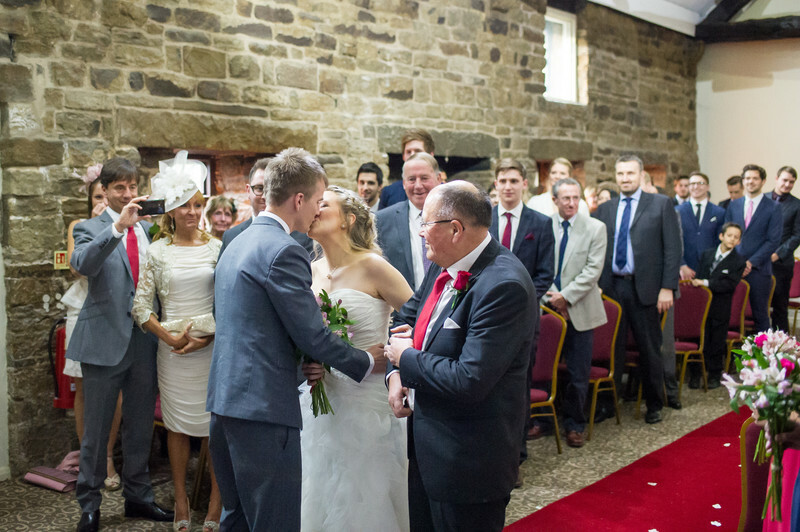 It is a picture from a wedding at Mosborough Hall in Sheffield when the father of the bride sees his daughter dressed and ready in her wedding dress for the first time. We British have a terrible habit of not showing our emotions even when there isn't a reason not too. 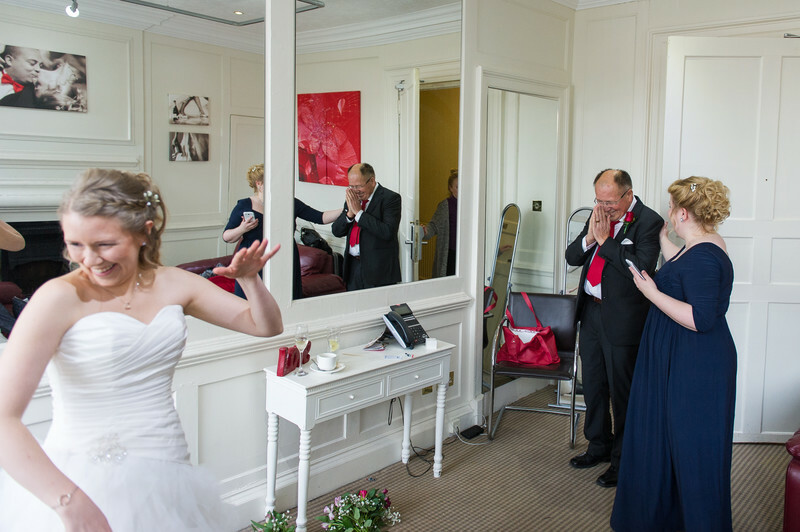 Our bride and her father are from Norway and what a wonderful change to see a father overcome with emotion on his daughters wedding day! Marte and Luke are such a wonderful couple, it was a real pleasure to see a couple so obviously in love with each other. From our first meeting with them on their engagement shoot we could see how much they both meant to each other, and we could also see on their wedding day how much Marte means to her father. Marte's mother wasn't at the wedding, it isn't polite to ask why but it was clear from the speeches she had meant a great deal to Marte and her father. We only hope wherever she is she is so proud and happy for her wonderful daughter and her fantastic husband, what a lovely couple and such fantastic international clients. 1/160; f/3.2; ISO 1400; 24.0 mm.